Nuno HCS Silva is the author/co-author of 15 SCI papers (h-index: 9, total citations: 279, co-authors: 48) in international peer reviewed high impact journals (e.g. Biomacromolecules, Carbohydrate Polymers, Green Chemistry and Journal of Materials Chemistry B), 11 of which (ca. 78%) were published in Q1 quartile journals. He is the first author of almost 50% of the papers (7 SCI papers). Nuno HCS Silva is also the author/co-author of 11 oral communications and 23 poster communications in national and international conferences. 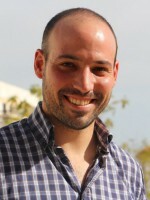 He has already helped supervising BSc and MSc students and he has been participated as a volunteer supervisor during the periodic visits of students from Portuguese High Schools to the Chemistry Department of the University of Aveiro, as well as involved in several dissemination & promotion events of scientific knowledge and culture. 2018, FOOD HYDROCOLLOIDS, 77, 921-930. 2018, INTERNATIONAL JOURNAL OF BIOLOGICAL MACROMOLECULES, 115, 518-527. 2016, COLLOIDS AND SURFACES B-BIOINTERFACES, 147, 36-44. 2015, CARBOHYDRATE POLYMERS, 123, 443-453. 2015, GREEN CHEMISTRY, 17, 8, 4291-4299. 2014, JOURNAL OF MATERIALS CHEMISTRY B, 2, 24, 3715-3740. 2014, CELLULOSE, 21, 1, 665-674. 2014, EUROPEAN JOURNAL OF PHARMACEUTICS AND BIOPHARMACEUTICS, 86, 3, 332-336. 2014, CARBOHYDRATE POLYMERS, 106, 264-269. 2013, BIOMASS & BIOENERGY, 55, 205-211. 2011, BIOMACROMOLECULES, 12, 11, 4162-4168. 2018, supervised by Isabel M. Marrucho, Carmen S. R. Freire. 2011, supervised by Qi Zhou, Lars Berglund.